Guts Casino is announcing a new promotional campaign whose highlights include a trip for two persons to the Maldives with some pretty good conciliatory prizes of cash amongst other treats. The promotion is divided into two sections with prizes of €14k and €6,000, and starts February 19th, 2019. Participation is optional to all players, but unfortunately Swedish players are excluded. Visit the GUTS casino for the full T&Cs. 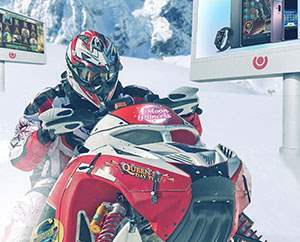 Join the Winter Race at Guts Now! Guts Casino is an online casino, sportsbook and poker brand. They are licensed and regulated by the Malta Gaming Authority (MGA), the Swedish Spelinspektionen and UK Gambling Commission. They offer a huge selection of 1,700 games from several of the largest developers including MicroGaming, Yggdrasil, Play'n GO and Betsoft. The casino also has a VIP program available by personal invite. Read our full casino review here.